Nowadays security is the major concern for all as the incidences of theft have become routine, and are on the rise especially in houses, banks, ATM’s, jewelry shops, etc. To ensure security in all these places and others, different systems can be implemented by using various technologies like GSM, Bluetooth, RF, RFID, etc. This article briefs about some security systems that use Arduino and also some Arduino based projects. The aim of this project is to provide security system with RFID tags interfaced with Arduino board for offices, banks and industries. This project uses an Arduino board, Power supply, an RFID reader, an LCD display, LEDs and a Motor driver. Instead of using a keyboard to enter the password and to allow access to the person or to drive the electronic devices, in this project, an RFID device is used as authentication. In offices, an RFID card is issued to every employee with an RFID tag with some unique number. When this card is placed in front of the RFID reader, it reads the data or details that are stored in it. The Arduino board compares this information with the pre-stored details, and if these two matches, it glows green LED and displays the message on the LCD indicating the recognition of the user. Similarly, the Arduino Board drives a motor driver to drive mechanical devices like doors and locks. If a user enters a wrong card, then the RFID reads the tag, and then the Arduino board directs the red LED to glow and displays this message: “User is unauthorized. Please contact higher authorities”. During such a process of unauthorized user’s entry, this system alarms with a buzzing sound as an announcement. 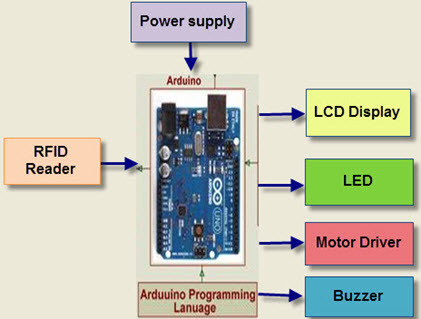 The project involving Arduino based security system can be implemented in banks, commercial buildings, etc. 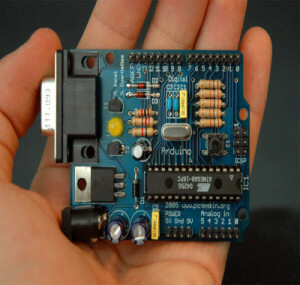 In addition to this particular security system, some of the Arduino based projects are discussed below for a better understanding of the projects related to Arduino. 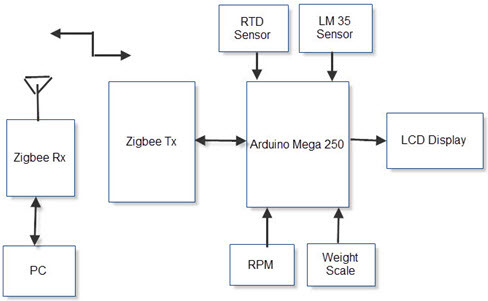 This project develops a wireless industrial monitoring and controlling system by using Zigbee technology as the communication medium based on the Arduino system. 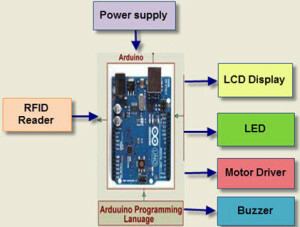 In this project, Zigbee modems at the transmitter and receiver side interface the Arduino board with a personal computer. A temperature sensor is used to detect temperature changes in the various industrial processes and sends corresponding signals to the Arduino board. It also gets the variables information like motor speed and weights of the loads by load cells. Arduino receives the sensing values from various sensors and sends the data to a Zigbee transmitter, which transfers the data to a remote PC. 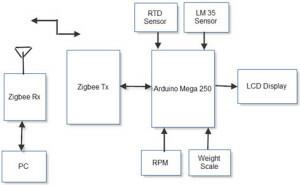 In this way, one can remotely monitor all the industrial process variables using the Zigbee communication, and can send the control signals to the field location from the PC. This project is designed to control the intensity of a LED based street light powered by the solar power from a photo voltaic cell using Arduino. Along with auto intensity control, charge control circuit controls the charging of the battery and also protects the battery from over/under charging. The photo voltaic panel gives the power to the entire circuit by converting the sunlight into electrical energy. During the peak hours, the intensity of street lights is very high because the traffic density is high at that time, and then the density gradually decreases during evening time, and almost disappears in the night time. This sequential process can be achieved by programming an Arduino microcontroller with a pulse-width modulation technique. This type of intensity control helps to save energy during the night time as the traffic density is low in the streets. The system has a MOSFET switch to implement PWM that varies the voltage across the array of LED street lights. This project is intended to find the exact location of an underground cable’s fault from the base station in kilometers by using Arduino. Underground cabling is most common in urban areas where locating a fault is like finding a needle in hay. This system uses the principle of Ohm’s law that is when a low DC voltage is applied to a series of resistors, then the voltage decreases across each resistor as we move from the first resistor. Here, a series of resistors from a cable, and – at each resistor – a switch are provided to create fault at that particular location. Therefore, switch pressing creates a fault by the relay which feds the voltage drop at that point to Arduino board through ADC. This Arduino microcontroller compares this voltage drop with a predefined voltage drops for each kilometer. So this KM information at which fault created is displayed in the LCD display. These are the Arduino based projects on real time applications. Hope that you might have received good projects related to this topic. Please share your views on these projects in the comment section and also, you can contact us for any doubts on implanting these projects. 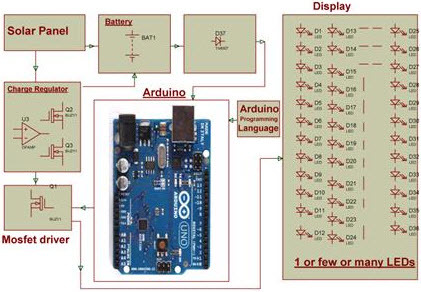 Please let me know if you take up projects on arduino or guide in completing projects around arduino. Yes, we have projects on Arduino. 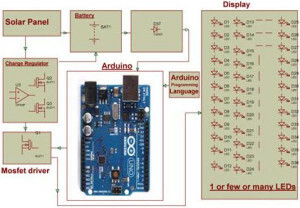 Please follow the link: http://www.edgefxkits.com/arduino/ for your requirement. You can download project abstract and seminar presentation also. 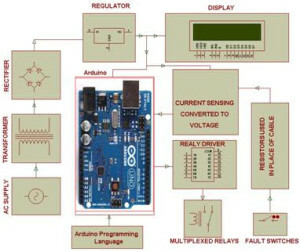 Please follow the link: http://www.efxkits.com/simple-arduino-projects/ , Please check our new wonderful and user friendly website http://www.efxkits.com for all the details, You can download project abstract and seminar presentation from our website http://www.efxkits.com,Please check the website for complete details in the kit content section: http://www.efxkits.com/kitdetails/ and go through the FAQ: http://www.efxkits.com/contact-us/#faq for details, Please get back to us at info@edgefxkits.in or call the undersigned on +91 99087 78000 for clarifications/personal counseling. Suvarna (Contact India: +919959178000, Contact International: +1 201 44 83073). based on Aurdino kit…before 16 April 2016 …..
We are sorry to inform you that,we don’t have the project as per your requirement i.e based on Arduino.